Why is Marrakesh the most popular travel destination of 2015? Marrakesh is hot right now – in more ways than one. TripAdvisor recently released a list of the most popular travel destinations in the world. From millions of user reviews, Marrakesh emerged as the top destination for 2015. Unsurprisingly, this has led to more people than ever hoping to rent villas in Marrakesh. Here are just a few of the things that those lucky enough to secure one will be able to look forward to. Set right in the heart of the Old City, the Jamaa el Fna is a bustling, intoxicating, unforgettable square full of snake charmers, dancers and magicians. It might feel a little overwhelming at first, but in the best way possible. Visiting during the day is more manageable, but nobody should miss the Jamaa el Fna at night, when it becomes a sea of noise and sound amid the cool desert air. The souk runs along the edges of the Jamaa el Fna, but the traditional African markets are a sight in and of themselves. Tiny stores hold assorted traditional – and not so traditional – wares, while rooftop cafés provide a place for you to ascend from the fast-paced environment down below and sit back with a delicious mug of mint tea. Spices, decorations, jewellery and incense can all be found in the busy souk – just as long as you’re prepared to haggle to strike a deal! Marrakesh itself seems untouched by much of modernity, but the Saadian tombs make even the souk seem futuristic by comparison. They date all the way back to the 16th century, but weren’t uncovered until 1917; the hidden entrance kept them secure and unchanged for over 400 years. The decoration of the ancient Moroccan tiles (known as zelij) is spectacular. Saadian Sultan Ahmed al-Mansour ed-Dahbi imported Italian Carrara marble, gilded honeycomb plaster-work and pure gold to make his Chamber of the 12 Pillars a suitable final resting place. 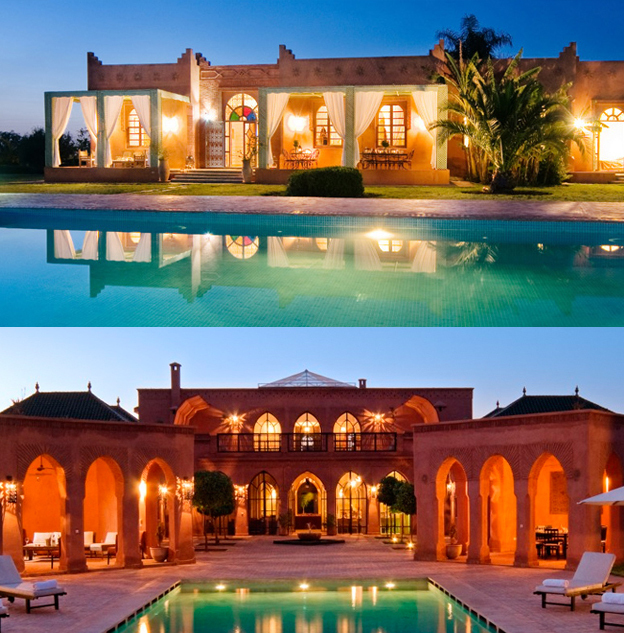 People eager to visit these sites are hurrying to rent villas in Marrakesh. If you want to mark this magnificent Moroccan city off your bucket list, simply book your stay with the help of the Villa Retreats team today.